“Primeshock” is the direct effect of a Hardstyle bomb that dropped too hard. Devouring the Hard Dance scene with a raging flood of energy, their shockwave is expanding at the speed of sound! Primeshock delivers crazy powerful sets, packed with their signature energetic Hardstyle tracks, that will pump up crowds and blow up stages. 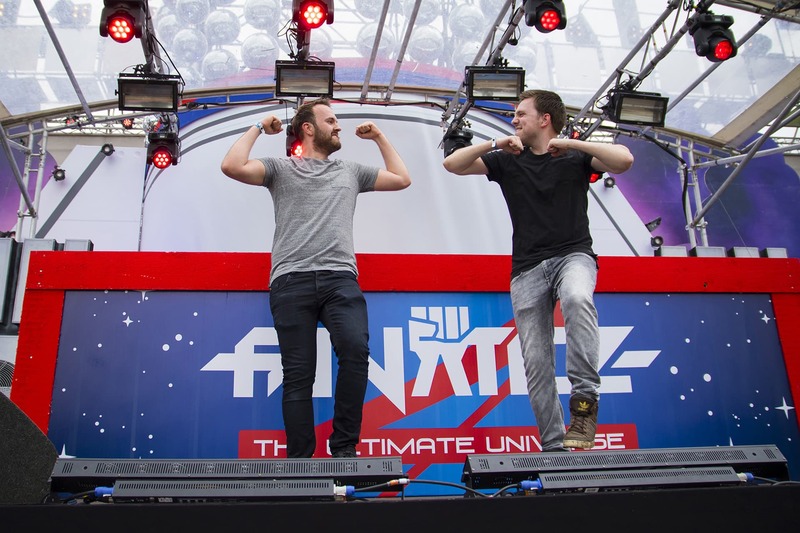 In addition they represent the best Hardstyle in their monthly Powermode Podcast, broadcasted at Q-dance Radio. Primeshock played at major events such as ‘Defqon.1 Festival‘, ‘Intents Festival’, ‘Decibel‘, ‘The Qontinent‘ and multiple editions of ‘X-Qlusive’. Releasing dancefloor slammers as ‘Primetime‘, ‘Target Training‘ and ‘We Had Disco‘, which received massive support by headliners like Headhunterz, Wildstylez, Coone & Da Tweekaz, Primeshock promises to be a name to keep your eyes on. Primeshock. Your shock of energy.